We offer storage ashore year round with a number of sheds available for undercover storage and we have various types of moorings available for the summer months if you are going afloat. Once your vessel is safely lifted ashore we offer a full range of services from simple pressure washing of the hull, scraping off the season's barnacles and minor repairs of GRP chips and dings to complex marine engine repairs, outboard servicing, new engine installations, interior modifications, complex or structural GRP repairs and rigging modifications or repairs. For owners who live further afield and leave their boats with us we offer a management service - a weekly check of your vessel, pumping the bilges if required, feeding the electricity meter to keep the dehumidifier running and any other tasks you require. As a traditional boatyard we are equipped to undertake any or all aspects of restoration work - whatever your project, we have the facilities to meet your needs, please contact us to discuss your requirements. Gweek Classic Boatyard has a long history of craftsmanship, with a tradition of many fine boats that have been built and repaired on-site that is continued by our Marine Team today. We have expert boatbuilders and carpenters on-site to help with any projects, including shipwright Andrew Massey. For more details of Andrew Massey's work please see his website Massey Boats. We're always on the lookout for more talented boatbuilders and craftsmen. We have space available to rent now: if you'd like to enquire please contact us. Our fibreglass experts are known worldwide and we often have boat owners make the journey to Gweek from across the Channel just to have their boats worked on by our team. Whether repairs, boatbuilding or complete restoration projects, interior or exterior work, our GRP specialists finish every project to their exacting standards, working with our painting and finishing experts to ensure your boat looks immaculate. The technicians at Gweek have a wealth of experience painting and finishing modern and traditional boats. Our team take pride in seeing a job through to completion at an incredibly high standard and our painting team are widely recognised for their craftsmanship. 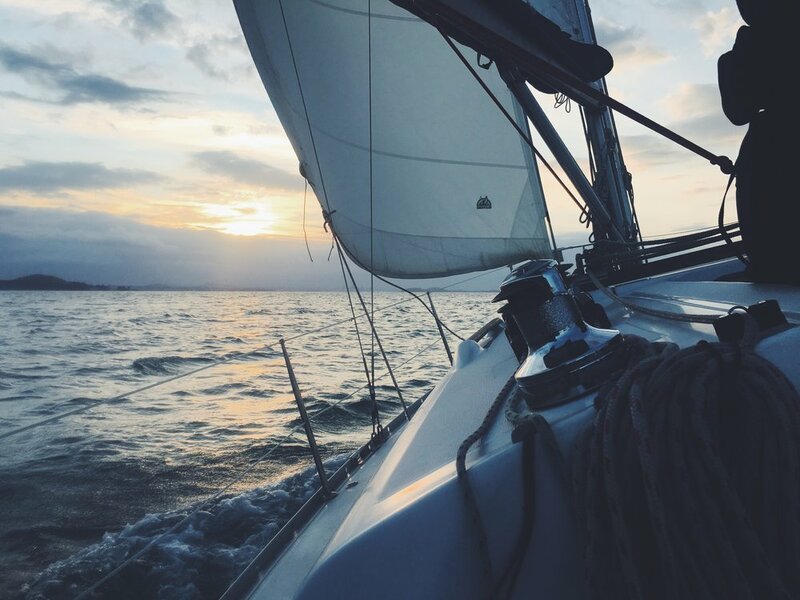 With years of experience honing their practice, our team can undertake painting, varnishing or anti fouling work on wooden, GRP and metal boats with a world-class finish. Our team’s expertise sees many return customers year on year. If you’d like to talk to us about your boat, please don’t hesitate to contact us. We can arrange sail cleaning and repairs, boat valeting, gas checks and can assist with many other annual tasks. We also offer life raft and lifejacket servicing. A yacht restoration and storage yard located in the upper reaches of the beautiful Helford River in Cornwall. We offer a full range of services on site for classic and modern boats alike. Expert boatbuilders on-site for repairs and restoration. World-class GRP technicians available for repairs or restoration. Paintwork, varnishing and anti foul for wooden, metal and fibreglass boats. Marine valet, sail cleaning and repair, marine electrical work, gas checks, life raft and lifejacket servicing. See full range of services. Sign up with your email address to receive news and updates from the boatyard.